Almost half of North American web users say they have connected their personal devices to corporate networks. 60% of IT professionals also use cloud-based apps in their work. This is a huge number compared to 10 years ago. Considering the number is increasing in both home and work life, it seems as though a cloud-based future is pretty much inevitable. 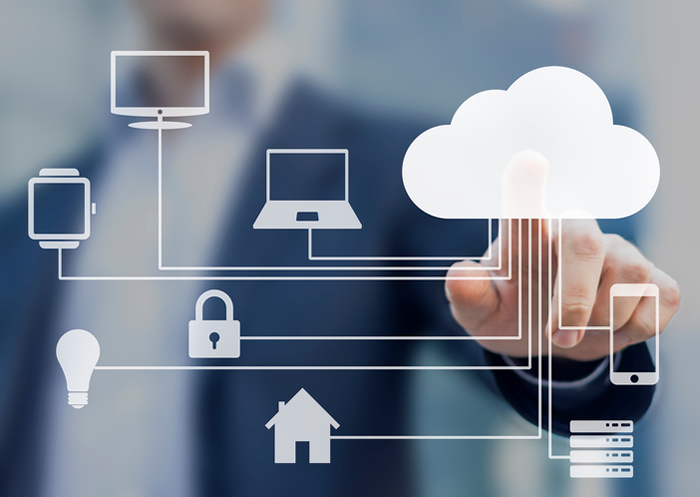 But what is cloud computing, and how is it changing IT security management? Well, first of all, traditionally educated IT professionals are now working outside of the usual technology they are used to. This means that not only do they have to update their education, but they also have to update their understanding of IT security management. Apps and data which were formerly on-site are now accessible on a server beyond the office perimeter. This emerging computing model has a direct impact on IT security. In fact, IT managers are witnessing a massive change in the expectations within their organizations. This is regarding velocity, innovation, security, and automation. Studies conducted by SolarWinds, an IT security management software provider, revealed security and productivity concerns among IT managers. They conducted two surveys on Professionals Day, September 20th. Researchers demonstrated the evolution of IT management beyond corporate-owned devices and on-site technology. This advancement is demanding more management services from IT pros outside their traditional scope. These surveys reveal that end users are connecting more devices including personal ones to corporate networks that rely on cloud-based applications. Most of this happens outside the four walls of the traditional office, and therefore puts a lot more pressure on IT security. Ten years ago, there were no personal phones to connect to corporate networks. Prior to the launch of the iPhone, IT security teams didn’t support personal devices since there were very few at workplaces. The revolution of smartphones has resulted in many mobile and personal devices among employees. IT and security teams now face a bigger challenge in securing corporate networks. There has also been a rise in cloud-based applications which pose a significant security risk. 70 percent of companies report that end-users occasionally use non-IT sanctioned cloud-based applications while on the office network. This increases the chances of the office’s cloud being attacked or hacked. 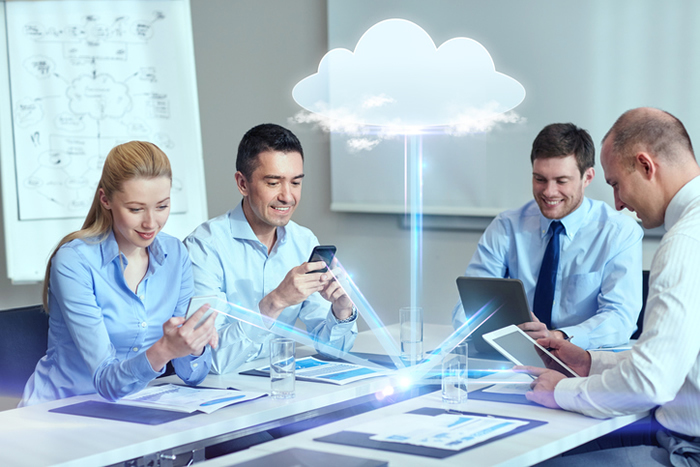 The meaning of cloud-based applications may vary among organizations. Some organizations describe cloud-based applications when they buy a cloud server, put up one of their apps, and let users run it from there. However, many cloud tools fall outside this scope. One cannot condemn most of these apps since they drive productivity; they are part of the organization’s success. They are changing how to do things and even improving them. However, they still pose an IT security risk. These reports clearly indicate how the future of enterprise security is at stake. Cloud and mobile computing are likely to jeopardize the strategies of protecting organizations from cyber-attacks because many businesses are handling more devices than ever in their corporate networks. The increase in usage of personal devices has increased the expectations for support among IT departments. IT managers now need to support laptops, tablets, and even smartphones. Some companies have prohibited the use of non-IT sanctioned cloud-based apps. These companies reportedly have things on lock-down. While most businesses facilitate a significant number of cloud-based apps, some limit this to the use of work-based productive platforms like Trello, Dropbox, or Slack. While the IT security team are expected to help out everyone in the business, sometimes they are required to be on call 24/7 to handle users on different time-zones or just people accessing the cloud late at night. IT security management pros should anticipate more personal devices in the workplace and transitions to the cloud. They need to understand the computing infrastructure and the real definition of cloud-based apps. These concepts may be a mystery among businesses leaders, but training everyone in the company on the importance of IT security should be of utmost importance - not just the IT team. Regarding long working hours, companies should consider monitoring tools. These monitoring tools can watch for threats and stabilize things as IT pros can focus on other tasks. Monitoring is still a manual task for many companies. This should be transformed into something like a self-discipline spanning storage, cloud, and virtualization. The recent technological revolution has introduced personal devices and cloud-based apps in both private and public companies. This calls upon IT pros to manage these devices while still providing security. These applications have transformed many organizations in terms of productivity. Therefore, IT pros need to ensure that they run smoothly and more securely. IT specialists are then there to support employees who are constantly online. There should be a clear understanding of terminologies associated with IT security as well. The monitoring process should also be automated for an efficient management.